Plans to build a large film studio in Hartlepool have been approved. The Northern School of Art and Hartlepool Borough Council want to build the 30,000sq ft production studio at a former bus depot in Lynn Street. 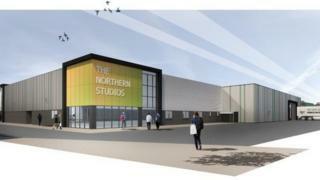 The Northern Studios will feature a large soundstage, green screen rooms and a 3D printer for creating sets and props, which could all be used large film and TV productions. The council's planning department has approved the plan. The studios would also be used by students at The Northern School of Art, according to the Local Democracy Reporting Service. Another application has been approved to convert the neighbouring former Edgar Phillips building in Lynn Street into teaching and workshop space for film and television students. It will be named The Scott Building and is planned to feature four classrooms and a workshop for film, TV and theatre.